A very, very special thank you goes out to the wonderful Jess at Random House Canada for sending me Twenties Girl. I am a fan of Sophie Kinsella's out of series books - for some reason the "Confessions" series never did much for me (although I do read each book that comes out), but I found myself loving Kinsella's out of series books - and this is why I was sooooo thrilled when I got a copy of Twenties Girl. 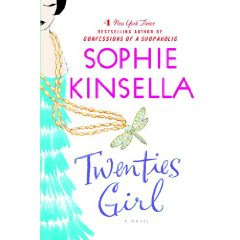 Twenties Girl is different from anything Kinsella has done before - yes, it is still chick lit and yes, the great writing is still there, but this time, Kinsella decided to incorporate a ghost as a main character. As the book opens, we find one of our main characters Lara - dealing with her mother's questions, as they head to a funeral for Lara's great aunt, Sadie, at the age of 105 - a great aunt, that apparently nobody knew or liked very much if we go according to the number of people attending her funeral. Because I did not want to give anything away to myself, I had refrained from reading the jacket flaps and therefore initially thought that somehow Sadie would end up leaving poor Lara some money or something like that. But no, Kinsella had other ideas and decided to make Sadie's younger self, rise up from the coffin and speak to Lara. This becomes the premise of the book - Lara and Sadie make an unlikely duo and as they both quest for closure and direction (not to mention a necklace) they find themselves deeply drawn to each other. There are some truly funny moments in this book and Kinsella's writing is, as always, top notch. Kinsella knows how to write a chick lit novel - but I have one question! A GHOST?????????????? Yeah, I know that chick lit is, for most of the time, stretching it a bit, but Kinsella kind of totally lost me when she introduced the ghost. I mean, this story would have been extremely interesting without this, what I consider to me cheap ploy. What is it with authors these days???? everything is about the paranormal - and it just does not work for me. I loved the passages in the book when we discover about the twenties and about all the beautiful clothes, etc - I love reading about London and finding out all kind of great little tidbits, but everytime "Sadie" came into play, I felt completely cheated and frankly, a little bored. I am sorry, but I just don't buy this whole paranormal thing in novels - best left to the non fiction writers in my opinion. 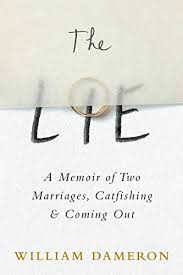 I have a couple of books by Sophie Kinsella but have not read them yet. Alot of people like her. I don't mind some paranormal like ghosts but vampires and shapeshifters leave me cold. It seems a lot of authors are jumping on the bandwagon with this shtick. So I take it you haven't read the Sookie Stackhouse Chronicles. Lol, me either. I'm sorry this didn't work for you and disappointed that it's not up to Kinsella's standards. It's too bad you didn't like this one, Tina. From your description, I think it sounds cute.